Big Den Escape Episode-5 info about the game-Games2Rule. Big den escape episode-5 is a new point and click escape game developed by games2rule.com. This is the next episode of Big Den Escape series. Still you are trapped in big den. Before that you are successfully clear and escape from the previous episodes so here we brought for you a new challenge and another episode of Big Den Escape. In this episode you have to escape in dark night so first of all you have to search the any object for to overcome the darkness like torch. After that you have to search objects and clues otherwise you cannot search objects or clues in dark for escape from this episode. 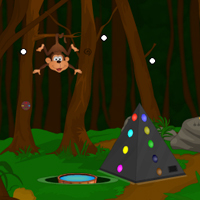 So let�s starts again your journey of escape from big den and continue try to successfully escape from this episode. Good Luck. Have Fun.